Local craftsman, Richard Wegner, blacksmith. Each year at Texas Ranger Day, the society invites local craftsman that demonstrate many of the arts and skills that Texans have passed down through the generations. Burton Hidden History Tour, 2014. Local events such as the Burton Hidden History Tour are a fun way to share little-known stories of buildings and people. 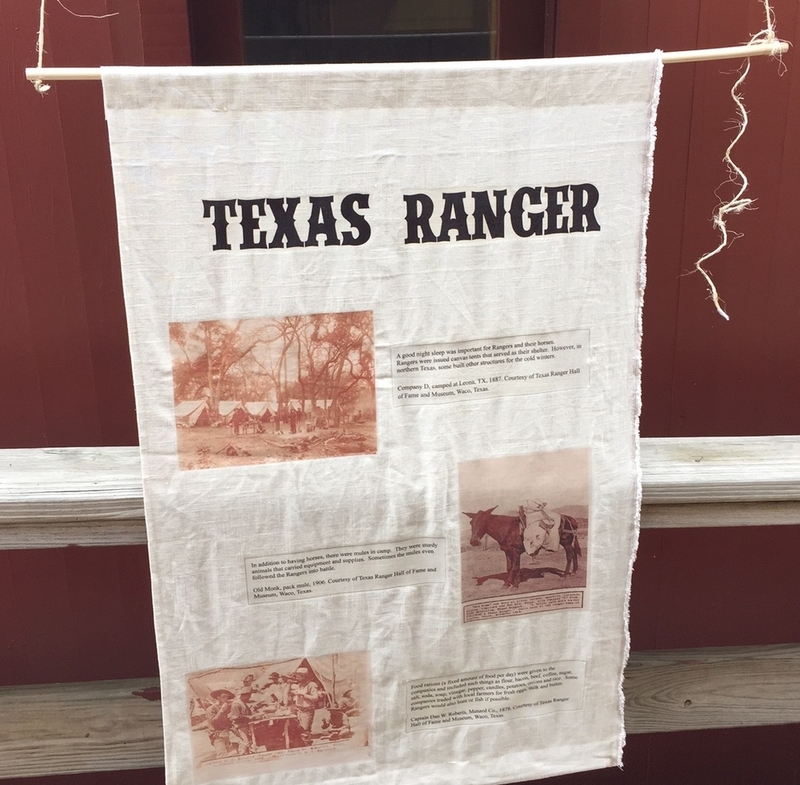 Banner created for Texas Ranger Day 2015 on history of Texas Rangers and specifically their daily life when in camp. Images courtesy of Texas Ranger Hall of Fame & Museum. History of Mt. Zion Historical Chapel, Burton. Timeline of the history of Mt. Zion Historical Chapel created for Texas Ranger Day 2015 and for use in the current restoration of Mt. Zion Chapel. First Tombstone Tales held at Mt Zion Cemetery and Historical Chapel, October 2016. This was a great event that shared stories about some of those buried at Mt. Zion AND helped everyone learn more about our community's oldest standing church structure.